This May, the five financial regulators tasked with implementing the Volcker Rule issued a proposal that would severely undermine its safeguards and protections.1 The Volcker Rule—Section 619 of the Dodd-Frank Act—was finalized by regulators in 2013 and took effect in 2015; it is one of the most important elements of the federal government’s response to the 2007–2008 financial crisis.2 The provision bans banks and their affiliates from engaging in proprietary trading—highly risky speculative trading for their own profit—and severely restricts their ability to own, invest, or sponsor hedge funds and private equity funds. It also targets conflicts of interest and places restrictions regarding these highly risky activities on certain nonbank financial institutions, which are designated as systemically important by the Financial Stability Oversight Council.3 The Volcker Rule essentially ensures that banks with access to the federal safety net—namely the Federal Reserve’s discount window and federal deposit insurance—are oriented toward client-focused activities that bolster the real economy, which actually produces goods and services. The financial crisis demonstrated that highly risky trading activities and hedge fund and private equity investments can cause rapid and large-scale losses at banks, thereby threatening financial stability.4 These activities also lent themselves to significant conflicts of interest between banks and their customers.5 The 2013 final rule implementing the Volcker Rule statute, while not perfect, took meaningful steps to ensure that banks and their affiliates no longer engaged in these highly risky activities. The proposed rewrite would strip away many important protections included in the original 2013 final rule. U.S. Securities and Exchange Commission (SEC) Commissioner Kara Stein appropriately summed up the impact of the changes included in the proposed rule: “[T]his proposal cleverly and carefully euthanizes the Volcker Rule.”6 The changes are not tweaks. Under the guise of streamlining the rule, the rewrite drives large and irreparable holes in the limits established by statute. By expanding exemptions, watering down definitions, eliminating certain compliance requirements, and transferring some oversight to the banks themselves, regulators are inviting more risk into the banking system. The complete lack of evidence offered by regulators to justify the rewrite is striking.11 Commercial banking profits are at all-time highs, and profits at the largest Wall Street investment banks have eclipsed precrisis levels.12 If the Volcker Rule was significantly hampering banks’ ability to operate effectively, or if the compliance burden outweighed the profitability of trading activities, it stands to reason that those deleterious impacts would show up on banks’ income statements. They have not. Volcker Rule critics have also claimed that the Volcker restrictions would hamper bank lending, but again, the data have shown the opposite to be true. Since post-crisis financial measures were put in place, bank lending has grown at a healthy rate.17 What some critics have ignored is the fact that, due to financial stability safeguards like the Volcker Rule and other post-crisis reforms, banks are more likely to continue providing financial intermediation—including client-focused capital markets services—throughout the economic cycle. The proposed rule itself offers no data-driven evidence to back up the proposed changes. On 30 separate pages of the proposal, regulators merely cite their experience implementing the rule as the reason why the changes are appropriate.18 Over the past three years, they have collected troves of trading data; yet they do not provide any such data in order to make the case for these changes.19 Indeed, regulators claim that the data they have collected “have provided valuable insights into the effectiveness of the 2013 final rule.”20 If the data do indeed provide valuable insights into the impact and effectiveness of the 2013 final rule, regulators must make these data public as part of the rule-making record. First, they could mandate greater transparency related to compliance with and enforcement of the Volcker Rule.25 Public release of bank trading metrics collected by regulators, on a delayed basis, would enable academics, analysts, and others to better understand how banks are complying with the rule. To date, only one penalty has been levied for Volcker Rule noncompliance, and it was in response to a self-reported offense.26 But the low penalty rate is almost certainly not the result of near-universal industry compliance. Several news reports over the past few years have detailed bank trades or fund investments that have resulted in large profits or losses, leaving the public to wonder how the transactions were permitted under the Volcker Rule.27 In 2016, for example, a Goldman Sachs trader made $100 million on junk bond trades that looked proprietary in nature, yet these transactions were not penalized under the Volcker Rule.28 Recently, Deutsche Bank AG’s U.S. arm reported a single-day trading loss 12 times larger than what the bank had calculated it could lose on a given trading day.29 This trading loss, too, was not penalized—and perhaps not even analyzed—under the Volcker Rule. Given these and other outstanding questions related to bank compliance and regulatory enforcement of the Volcker Rule, greater transparency through the delayed release of relevant bank trading data would meaningfully strengthen Volcker Rule implementation. Apart from increasing transparency, regulators could also strengthen the Volcker Rule by closing key loopholes and by enhancing its penalties.30 The 2013 final rule includes several exclusions that have no basis in the statute yet weaken its reach and impact. For example, the 2013 rule carves out physical commodities from the Volcker Rule’s prohibition against proprietary trading. As a result, banks have continued to speculate in physically settled commodities markets, despite the fact that the statute provides no such exemption. The congressional authors of the statute, Merkley and Levin, called on regulators to eliminate this exemption during the original rule-making process, but it made it into the 2013 final rule anyway.31 Eliminating that loophole would simplify the rule and decrease the opportunities for banks to evade the Volcker Rule’s intent. However, this is not the only regulatory loophole that has no statutory basis and ought to be closed. For example, as discussed below, another loophole involves trades executed for bona fide liquidity management purposes. Regulators, however, did not include any of these improvements in the proposed rewrite. Instead, they offered changes that clearly serve the interests of banks over the public. For years, banks have asked for these changes. By delivering this rewrite, regulators are not sufficiently considering the well-being of the broader public, who bears the cost of reckless Wall Street activities. This report discusses several ways the proposed rewrite of the Volcker Rule undermines the rule by providing more leeway for banks to engage in high-risk trading activities. The Volcker Rule was enacted, in part, to reorient banks toward client-focused activities.32 Instead of making bets that swing for the fences and conflict with the interests of their customers, banks should serve their customers in a way that supports the real economy. The primary banking activity that accomplishes this goal is lending—providing credit to businesses, entrepreneurs, and households so that they can pursue economically useful ventures. Banks can also serve their clients through capital market activities that perform the same effective function: enabling clients to succeed in their ventures. Banks’ market-making activities enable clients to conveniently buy and sell financial instruments, while underwriting activities help clients to raise funds in the capital markets. Therefore, these two activities are permitted by the Volcker Rule. The statutory language in Dodd-Frank made it clear that banks could not engage in these activities beyond the reasonably expected near-term demand (RENTD) of their clients.33 This limitation was meant to stop banks from conducting proprietary trading under the guise of market-making or underwriting activities permitted by the Volcker Rule. For example, if a bank bought $10 million of certain corporate bonds and claimed the purchase was for market-making, and the expected near-term demand of the bank’s clients was for only $3 million of those bonds, the bank could be making a $7 million proprietary bet that the bonds would increase in price. In this example, the bank would be taking a proprietary position by trading beyond the expected near-term demand of its clients. The 2013 final rule put in place some restrictions to prevent banks from engaging in that type of evasion, such as requiring them to perform specific analyses demonstrating the reasonably expected near-term demand of their clients. The required analyses had to consider historical demand for the financial instrument, the liquidity and maturity profiles of the asset, current inventory breakdowns, and other variables. Trades executed within the bounds of the expected near-term client demand are generally permitted for market-making and underwriting activities. The proposed rewrite would drop the requirement for banks to perform the specified analyses demonstrating the reasonably expected near-term demand of their clients.34 Instead, banks would be allowed to formulate their own internal risk limits using calculations based on variables that they themselves would select. As long as banks stayed within the bounds of their own self-designed risk limits, regulators would assume full compliance with the reasonably expected near-term demand restriction on market-making and underwriting activities. Banks would not need prior approval from regulators to set and adjust their internal risk limits; they would simply be required to notify regulators of the limits and any changes. This proposed change would effectively let banks govern themselves when determining client demand. As a result, the SEC believes, “some entities may be able to maintain positions that are larger than RENTD and, thus, increase their risk-taking.”35 A bank could set internal risk limits that extend beyond the actual near-term demand of its clients, creating the space to engage in proprietary trading. In the run-up to the 2007–2008 financial crisis, this compliance approach failed spectacularly.36 Banks were given the flexibility to determine their own loss-absorbing capital requirements using internal risk models; however, too many banks gamed their models to ensure they faced the weakest safeguards possible.37 Putting faith in the banks to police themselves is not only misguided, it is contrary to the statutory requirements of the Dodd-Frank Act and the Volcker Rule. Trades undertaken by a bank to hedge exposures—and therefore mitigate risk—are permitted under the Volcker Rule statute.38 The Volcker Rule recognizes that it is prudent for banks to use financial instruments to reduce risks to their balance sheets. At the same time, the rule’s statutory provisions did not intend to allow banks to take risky proprietary positions under the pretense that they were actually engaging in risk-mitigating hedging. By requiring banks to perform ongoing correlation analyses, the 2013 Volcker Rule regulation sought to limit the possibility of banks using the hedging exemption as a loophole to engage in prohibited trading.39 Essentially, the regulation required banks to demonstrate, over time, that their hedges were actually reducing their risks. If, over time, the data showed instead that the value of an asset designated as a hedge was moving in the same direction as the value of the asset it was supposedly hedging, that asset would lose its status as a risk-reducing hedge. That type of commonsense correlation analysis offered a sensible, cost-effective means for proving that risk-mitigating hedges were, in fact, risk mitigating, while potentially exposing hidden proprietary trades. The 2018 rewrite proposal would eliminate the requirement that banks perform the correlation analyses for their hedges. It contends that banks have found the analytical requirement to be a costly burden that could lead to delays in executing or adjusting hedges.40 Putting aside the fact that workers, families, and investors all found it costly when the financial sector brought the U.S. economy to the brink of collapse, one has to wonder why any bank would decline to engage in the analysis needed to assure that its hedges are really reducing its risks. This is simply good risk management. Even if banks appropriately design a hedge at inception to reduce risk, it may not actually reduce risk over time. If the value of a hedge is moving in the same direction as the asset being hedged, and the bank is making more money on the trades as a result, a bank’s profit incentive may govern the decision not to adjust the hedge. Without correlation analyses, this scenario is far more likely to occur. Of equal concern is the proposal to remove regulatory language requiring banks to execute hedges that “demonstrably reduce or otherwise significantly mitigate” risk.41 Removing that language raises serious concerns as to whether the revised rule would legally align with the statute, which permits hedging only to the extent that a hedge is risk-mitigating. Without having to demonstrate clearly that the hedge is actually a hedge—and that it significantly mitigates risk—it would be much easier for banks to engage in proprietary trading under the guise of hedging. The 2013 Volcker Rule regulation included a carveout for trades executed for bona fide liquidity management purposes. Liquidity management refers to actions taken by a bank to ensure it has the appropriate assets to meet its expected cash and collateral needs across the firm. Transactions that fall within this carveout are not restricted by the Volcker Rule’s ban on proprietary trading. The carveout does not have any statutory basis in the Dodd-Frank Act and should be closed or restricted rather than maintained or expanded.52 Its scope and potential for risk are likely to be worsened by changes in the proposed rewrite. Specifically, the proposed rewrite seeks to expand the financial instruments that can be used under the liquidity management loophole to include foreign exchange (FX) swaps, cross-currency swaps, and forwards. An FX swap is a transaction in which counterparties simultaneously borrow one currency and lend another currency for a set period of time. When the transaction is closed out, the counterparties then return the currency they borrowed and receive the currency they lent. The foreign exchange rate—both the spot price and forward rate—is included in the terms of the contract. Cross-currency swaps look similar to FX swaps but involve the exchange of interest payments throughout the term of the contract. These derivatives were not allowed under the liquidity management exclusion in the 2013 regulation. Banks can already use these instruments for permitted activities like market-making for clients or hedging exchange rate risk, but they must meet the corresponding compliance requirements to prevent abuses. To avail themselves of the liquidity management exclusion, banks must trade in accordance with their liquidity management plans. Generally, exclusions have a less robust compliance framework than permitted activities—like hedging or market-making—that fall within the bounds of the Volcker Rule. Expanding the liquidity management loophole as proposed would be unwise, since FX swaps, cross-currency swaps, and forwards can easily be used to make large speculative bets in currency markets on the movements of exchange rates.53 Banks could claim that they were trading these instruments under the liquidity management exclusion while actually taking proprietary positions in currency markets, potentially exposing them to the types of large and rapid trading losses that the Volcker Rule was meant to prevent. It is especially concerning that regulators would make it easier for banks to bet on exchange rates given that several Wall Street banks have collectively been fined billions of dollars for egregious exchange rate manipulation schemes spanning at least a decade.54 In those schemes, banks colluded with one another to rig foreign exchange rates in order to increase their own profits.55 Given this history of misconduct, regulators should be particularly cautious about making changes that give banks more of an opening to make high-risk bets in currency markets. If the U.S. operations of a foreign bank were to lend to a foreign subsidiary of the bank and that loan were secured by a proprietary trading asset or by a covered fund investment, the value of the trade or fund investment could deteriorate and stress the balance sheet of the foreign entity. In this scenario, those losses would find their way to U.S. shores when the foreign subsidiary failed to pay back the loan. The U.S. operations of the foreign bank would write down the value of the loan, taking on the losses caused by the risky activities of the foreign parent or subsidiaries. If those activities were instead financed by another foreign subsidiary of the bank, the risk to the U.S. operations would be mitigated. The Volcker Rule rewrite seeks to remove the financing restriction, allowing the U.S. operations of foreign banks to fund the otherwise prohibited activities of their foreign parent or other subsidiaries. There is no financial stability upside to this change. This will simply allow the U.S. operations of foreign banks to gain exposure to activities that are prohibited by the Volcker Rule. As the SEC found, “some of the economic exposure and risks of proprietary trading by foreign banking entities would flow not just to the foreign banking entities, but to U.S.-located entities financing the transactions.”61 The proposed rule offers no data, evidence, or reasoning to import additional risk to the U.S. financial system, again failing to meet the minimum requirements of the Administrative Procedure Act. The Volcker Rule’s prohibition on proprietary trading applies to all trading conducted for a firm’s trading account.62 Any transactions that occur outside of the trading account fall outside of the scope of the Volcker Rule, which makes the definition of “trading account” crucial. The proposed changes to the rule would narrow this definition by likely placing fewer bank trading desks under active oversight by regulators. The Volcker Rule rewrite would keep the market risk capital rule test and the dealer test but eliminate the purpose test and the 60-day rebuttable presumption. The purpose test would be replaced by a new accounting test. Under the new test, trades that are recorded at fair value on a recurring basis—an accounting-related categorization—would be covered by the definition of trading account.66 Trading desks that would be covered only by the new accounting test—not the dealer test or the market risk capital test—would benefit from a new presumption of compliance. As long as the trading desk does not exceed an absolute gain or loss of $25 million over a rolling 90-day period, regulators would presume that the desk is in compliance with the Volcker Rule. The bank would not have to demonstrate that its trading activity met a permitted activity like market-making or hedging as long as it stayed under that $25 million threshold. This proposed change has no statutory basis and regulators do not provide a sufficient justification for how it meets the statute’s requirements. The purpose test and 60-day rebuttable presumption stem directly from the statute’s language, which explicitly states that the prohibition is meant to cover any trading that occurred for the purpose of benefiting from short-term price movements. Under the current rule, any trading—no matter the accounting treatment or where in the firm it is conducted—falls under the Volcker Rule if the position is held for less than 60 days. A better approach would have been to either increase the 60-day threshold to 90 days, or even a year—as the congressional authors of the Volcker Rule recommended during the original regulatory comment period—or to implement the accounting prong as an additional test without any presumption of compliance.67 It should be noted that inclusion in the trading account is not a prohibition but rather the baseline requirement that triggers oversight under the Volcker Rule. Ultimately, the general principle that regulators should not pay attention to trading desks until something goes wrong is flawed. If regulators want to incorporate an accounting-related test, which has some benefits, they must eliminate any presumption of compliance. Regulators had an opportunity to strengthen the definition of trading account. Instead, the new accounting test would limit the trading activity that falls under active oversight of regulators.70 Removing more accounts from active oversight could lead to an increase in the proprietary trading that the Volcker Rule was precisely designed to stop. Unlike the compliance regime established by the 2013 final regulation, the new compliance regime does not adequately factor in a bank’s total consolidated assets; it merely focuses on the size of a bank’s trading operation. This is a troublesome change because if high-risk trading activities were to lead to a bank’s failure, the size of the entire institution would matter in terms of the risk posed to financial stability. For example, a trading meltdown at a $100 billion bank with $2 billion in trading assets and liabilities could pose a greater threat to the economy than a trading meltdown at a $40 billion bank with $2 billion in trading assets and liabilities. The corresponding compliance requirements should meaningfully factor in the total size of the institution, in addition to the size of its trading operation. However, the proposed Volcker Rule rewrite does not. The proposal also creates a new exclusion for trades executed in error. If a trade is mistakenly executed, the bank can place that instrument into an error account managed by a separate trader. The trades conducted to correct the error would fall outside of the Volcker Rule’s restriction on proprietary trading. Banking entities, of course, should be permitted to correct errors they make. But the proposal fails to explain or justify why an entirely new exclusion to the rule is needed. No data are offered to explain how prevalent or serious this problem is; how the existing regulation has contributed to the problem; or why other approaches are insufficient to resolve it. As such, it is nearly impossible to effectively comment on the problem being solved—or, possibly, created. Without sufficient oversight and restrictions, even error accounts could be used to evade the prohibition on proprietary trading. Banks could claim an error was made and profit on the short-term price movements of the instrument placed into the error account. Beyond the potential for evasion, this change gets to the heart of the fallacy undergirding the Volcker Rule rewrite. Supporters claim the proposal is meant to simplify the Volcker Rule in response to complaints about the vague or complex nature of the 2013 regulation. But the new trading error exclusion would depend on “the facts and circumstances of the transactions.”73 Essentially, it is up to regulators to decide on a case-by-case basis what constitutes a trade made in error. That approach is vaguer than any aspect of the 2013 regulation. It does not simplify the rule; it merely injects it with more uncertainty. However, in this case, it is unlikely that banks will oppose this uncertainty, as it works in their favor. Most of the proposed rule’s changes deal with the proprietary trading half of the Volcker Rule. They do not significantly alter the covered funds definition, which determines which funds fall under the Volcker Rule’s restrictions on hedge fund and private equity fund activities. However, the proposal contains at least 70 questions that solicit comments regarding possible changes to the definition of covered funds. Many of the questions are specific, detailed, and leading. They hint at anything from the erosion to the evisceration of the covered funds definition, which would limit the number, types, and tranches of funds that fall under the Volcker Rule’s prohibition. The covered funds section of the Volcker Rule proposal suggests that regulators intend to make dramatic changes to that aspect of the 2013 regulation—changes that, perhaps for the first time in a finalized rule, would short-circuit public analysis. Hopefully, regulators will not take that course of action and will instead respect the requirements of the Administrative Procedure Act and issue a second proposal open to public comment. Most of the proposal’s questions suffer from a lack of explanation, data, evidence, and justification regarding what is being done, why it is being done, what alternatives were considered, and what implications may exist. Any movement toward further action under most, if not all, of these questions would raise significant concerns under the Administrative Procedure Act. These are not the only problems of a proposal that never should have seen the light of day; they are merely the most harmful. The Volcker Rule is one of the key financial reforms that helped this country recover from the financial crisis and establish safeguards against future economic devastation caused by the financial industry. The rule’s restrictions on highly risky trading activities make the banking sector safer, reorient banks toward traditional client-focused activities, and limit conflicts of interest with real investors in U.S. capital markets. The 2013 regulation could and should be improved. Unfortunately, the recently proposed rewrite does not make any meaningful improvements to the rule and would only serve to weaken it. If regulators genuinely want to strengthen the Volcker Rule, they could implement a robust transparency regime, making bank compliance metrics public on a slightly delayed basis and publishing Volcker Rule enforcement data. This would give the public confidence in the rule, as academics, legislators, reporters, and other interested parties could monitor banks’ trading activities and regulators’ enforcement efforts. Unfortunately, regulators went in the opposite direction. The proposed changes serve banks, not the public. Despite having collected troves of data over the past three years during implementation and enforcement of the Volcker Rule, regulators fail to offer any data justifying the proposed changes. On 30 separate pages of the proposal, regulators cite their own experience, without any data-driven evidence to back it up. No rational basis is provided for the proposed changes. Bank profits are at all-time highs, market liquidity is within historical norms, and bank lending is healthy. Before regulators invite more risk into the banking system, they should consider who bears the burden of such a decision. The former and final CEO of Lehman Brothers is doing fine; yet workers and families throughout the country still carry the scars of a decade ago.75 Wall Street banks may find compliance with the Volcker Rule tedious, but families who lost homes found foreclosure catastrophic. 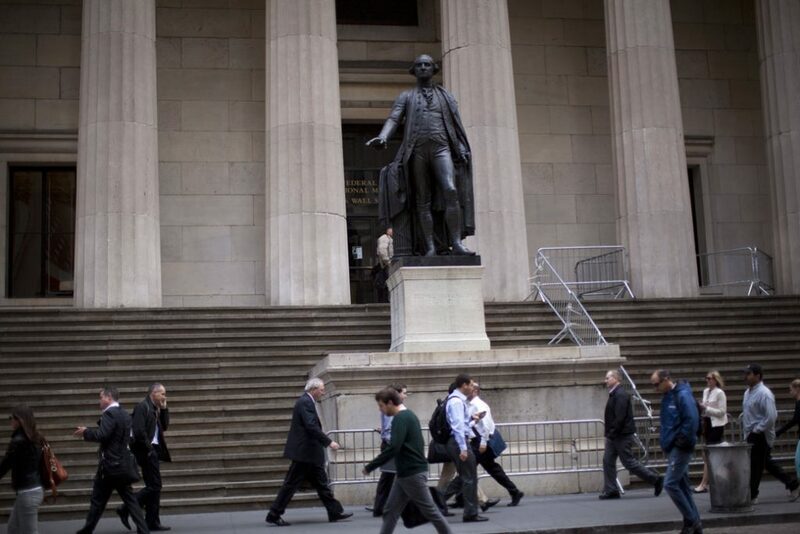 Despite record profits, banks complain that the Volcker Rule is too costly and burdensome. But their desire for even greater profits should not concern regulators as much as the plight of Americans who lost their jobs, homes, and savings as a result of the financial crisis. Regulators should focus more on the potential severe costs of their actions to the real economy than minor inconveniences for bankers. Gregg Gelzinis is a research associate for Economic Policy at the Center for American Progress.